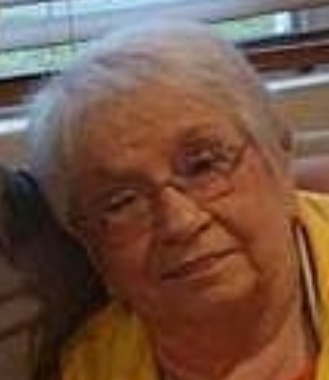 Obituary for Carol Ann (McTigue) Gatto | Clawson Funeral & Cremation Center, Inc.
Carol Ann (McTigue) Gatto, 79, of Leechburg, PA, passed away on Wednesday, January 23, 2019 at Good Samaritan Hospice Inpatient Unit at Cabot. A daughter of the late Edgar McTigue and Mary (Shaeffer) McTigue, she was born December 30, 1939 in Natrona Heights, PA.
Carol was employed providing patient transportation at Allegheny Valley Hospital in Natrona Heights. She was of the Catholic faith. Carol had been a former member of the Leechburg Mother’s Club and Leechburg Band Boosters. She had been responsible for establishing the Leechburg Area Little League Girls’ Softball League. As the program grew, the Leechburg Girls’ Softball Team won the PIAA State Championship in 1992. It was the first state title for the softball team under the coaching tutelage of Jim Oberdorf. Survivors include her husband of 50 years, William Paul Gatto of Leechburg; her son, Jeffrey Paul Gatto; her daughter, Holly Grisolia (Anthony) of West Leechburg; a grandson, Joshua Paul Gatto; a brother, Dennis McTigue; and three sisters, Nancy Steffey of Florida, Kathleen Romanowski, and Denise Albert of Johnstown. There will be no public visitation or services. Interment will be private at the convenience of the family. Arrangements have been entrusted to the Clawson Funeral & Cremation Center, 170 Main Street, Leechburg (724-842-1051).